Does Text Speak Affect Grammatical Ability? Home > Mobiles and Your Health > Does Text Speak Affect Grammatical Ability? Is text speak – or txt spk – encouraging kids to abandon traditional English grammar or does this new form of written communication actually have a positive effect on their language skills? When a 13-year-old Scottish schoolgirl was reported to have submitted an essay written entirely in mobile phone text speak, academics, wordsmiths and decent upstanding folk across the land threw up their arms in horror, exclaiming the incident as proof that the mobile is corrupting the minds of the young and reducing the English language to gobbledegook. But have parents and teachers cause to be worried about the effects this strange language being tapped out between teens has on their children’s grammatical ability, or conversely, in its ultra-abbreviated form, does it actually show a clever manipulation of the English language? Research reveals that nearly two thirds of teens adopt some of the informal style of texts in their written school work, with short cuts like LOL – which means ‘laugh out loud’ – and emoticons being particularly popular. Half of the students questioned also admitted to occasionally forgoing basic rules like capitalisation. Such slips in standards would not go down well with BBC presenter, John Humphrys, who famously condemned text messagers as ‘vandals’ of the English language. James Billington, the US Librarian of Congress, recently decried the potential damage inflicted by text speak on ‘the basic unit of human thought’ - the sentence. However, many others believe the furore about declining standards in spelling and punctuation caused by the mobile phone is grossly over the top. Professor of Linguistics at the University of Wales, David Crystal, insists that there is no evidence to suggest that mobile phone texting teaches children to spell badly; rather, research shows that the most ardent texters are more likely to be most literate and best at spelling because you need to understand how language can be manipulated. Analysis in fact shows that only 10% of words in texts are actually misspelt. Rather than an illiterate version of the English Language, text speak is a weird but nevertheless ingenious and playful tangle of acronyms and abbreviations – its ultra-conciseness in part necessitated by the 160-character limits of the traditional SMS. 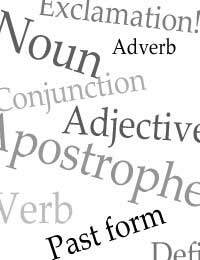 Words may be misspelt but in a hip deliberate way – after all you have to first know how to spell a word to effectively condense it. In the end the text speak essay turned out to be a hoax that played on many people’s worst fears about the impact of teens’ mobile phone texting habits. In reality, most kids are intelligent enough to know when text speak should and shouldn’t be used, and wouldn’t dare try using in a school essay for fear of losing marks for bad spelling and punctuation. If there are any concerns about falling standards in English grammar – and there is some evidence to suggest we are becoming less concerned about correct spelling – then texting is not to blame but the state of school education. What's the Truth About Mobiles and Cancer? How Much Time Should You Spend on a Mobile? Mobile Addiction: Is it a real problem? Can Mobiles Really Damage your Health?